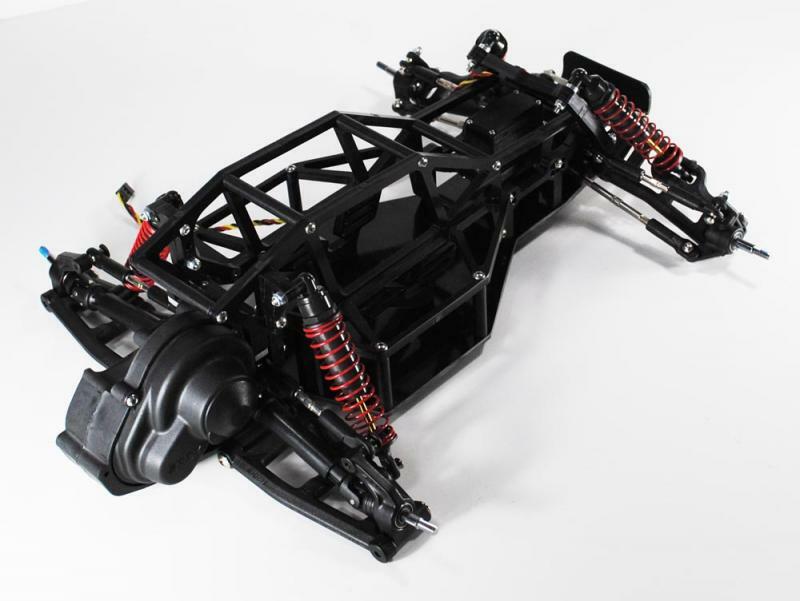 To ease assembly of your Phantom, we recommend you read through the instructions fully prior to beginning assembly. 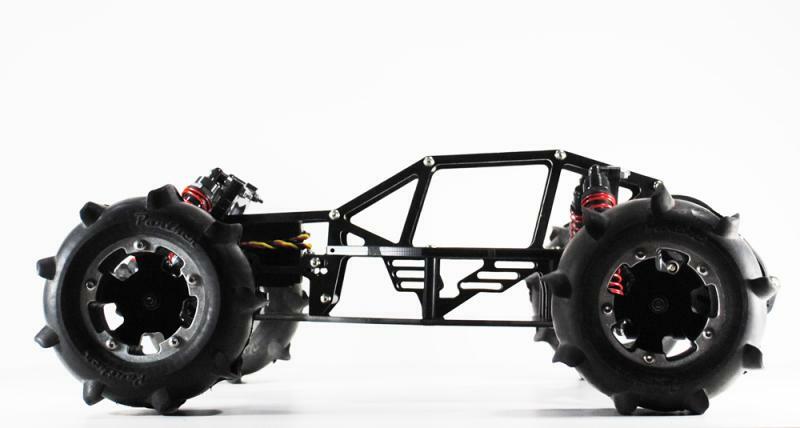 Traxxas 2WD Slash/Stampede/Bandit/Rustler complete front and back end. 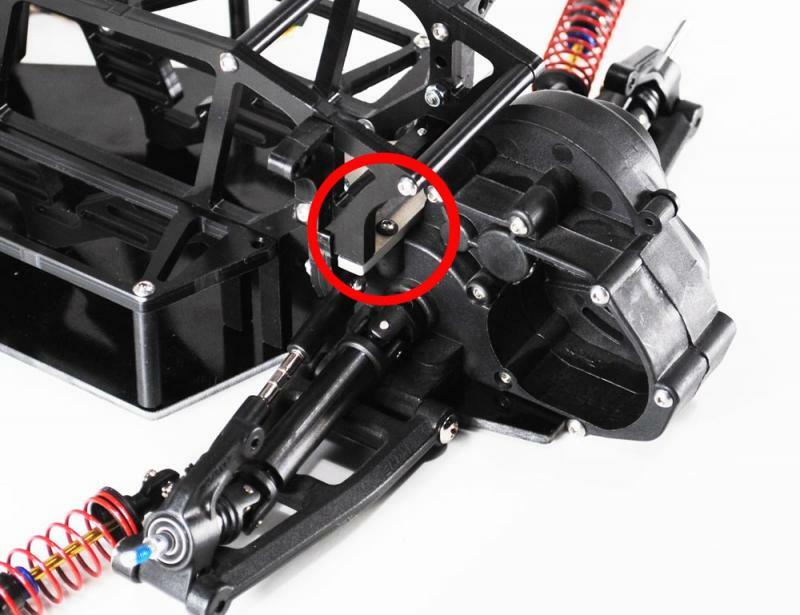 Bolt the Front Shock Tower to the Traxxas front suspension bulkhead using 2x 3x14mm button head screws. 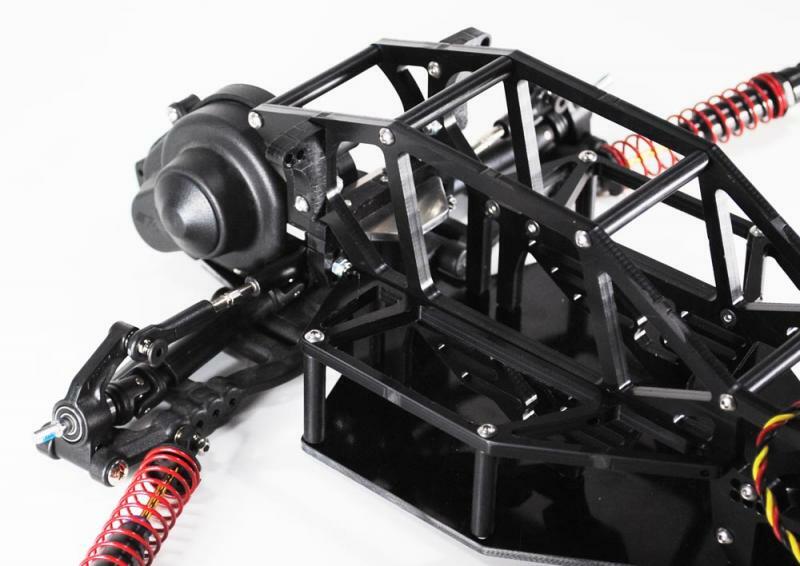 Bolt the top of the front shocks (85mm eye to eye ideal length) to the Front Shock Tower using 2x 3x25mm button head screws, 2x 1/8” aluminum spacers, and 2x 3mm locknuts. 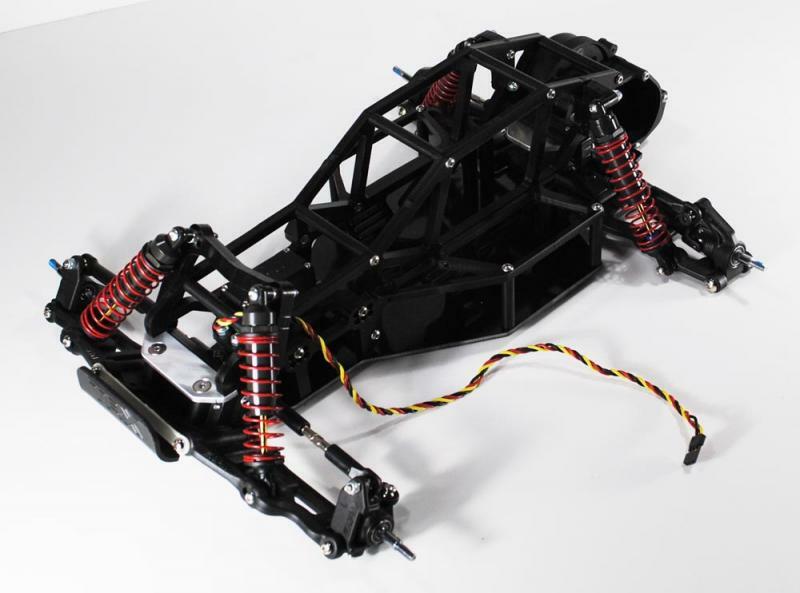 Bolt the front suspension links to the Front Shock Tower using 2x 3x16mm button head screws and 2x 3mm locknuts. 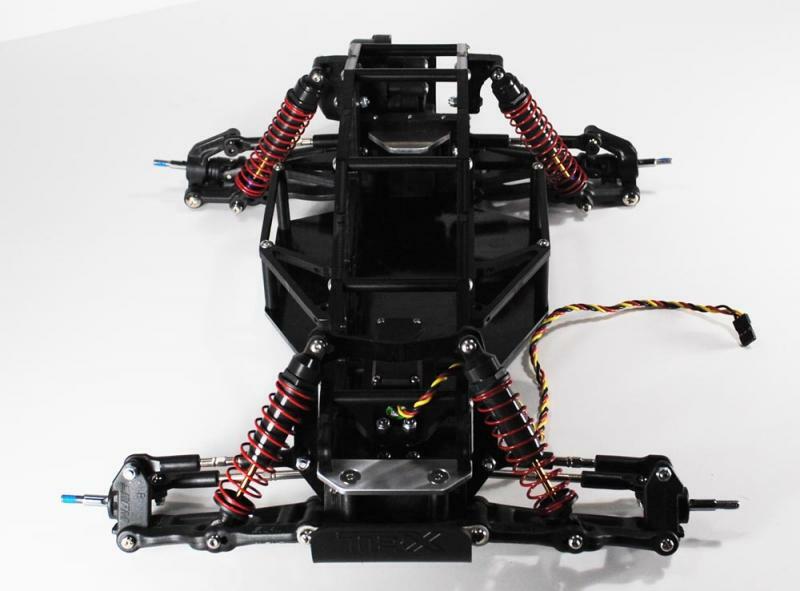 Bolt the Rear Shock Mounts to the Chassis Side Plates using 2x 3x12 button head screws, 2x 3x16mm button head screws, and 2x 3mm locknuts. 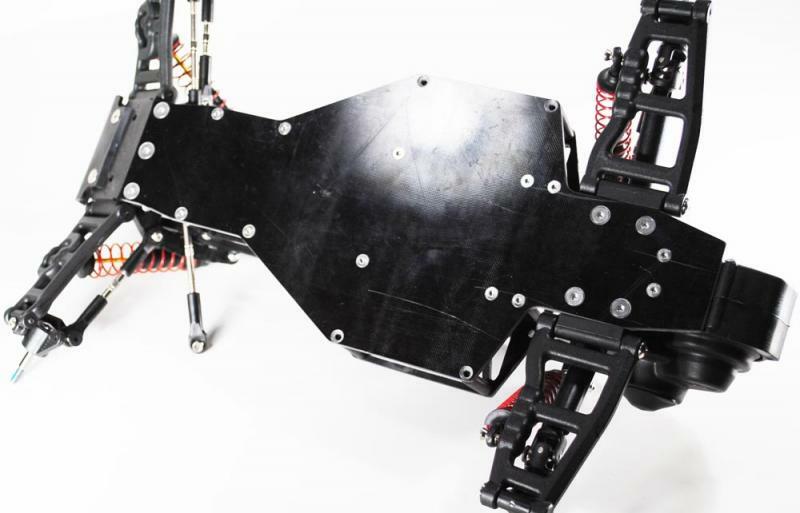 Bolt the Side Wings to the Chassis Side Plates using 8x 3x10 flat head screws. 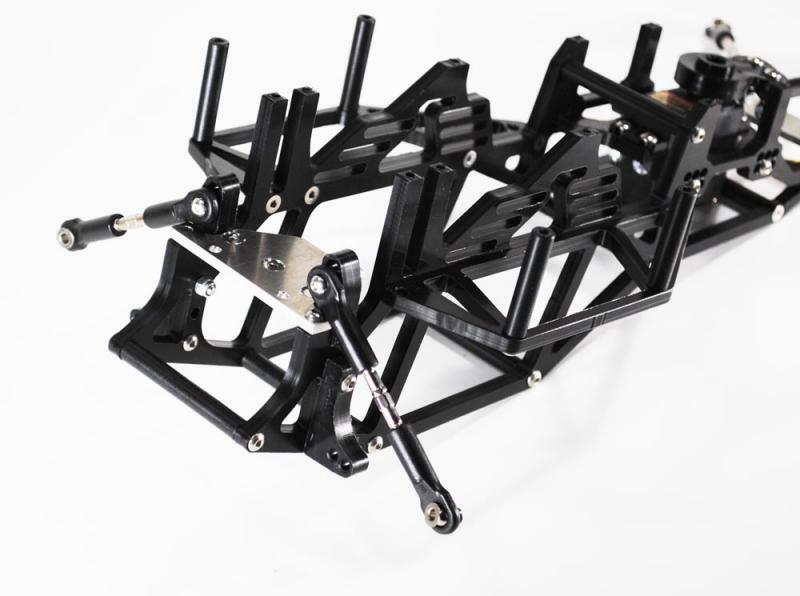 Bolt the Rear Link Mount to the Rear Aluminum Chassis Bulkhead using 3x 3x10 flat head screws. 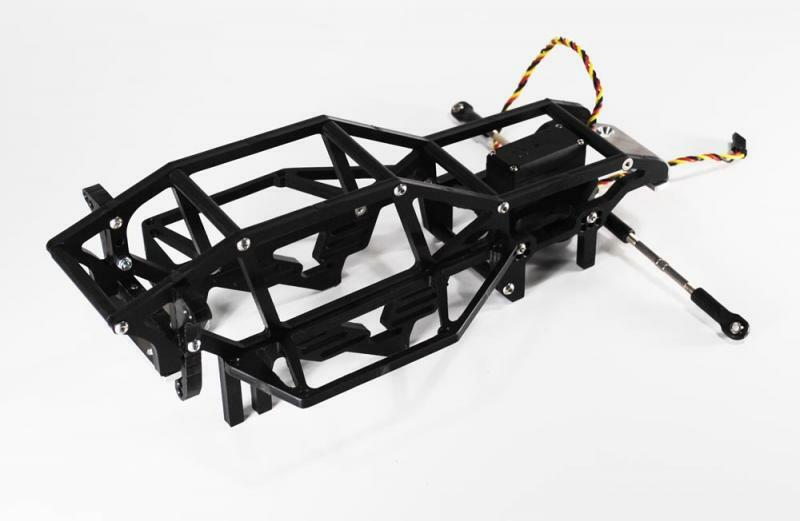 Bolt the Rear Aluminum Chassis Bulkhead to one Chassis Side Plate using 1x 3x10mm button head screw. 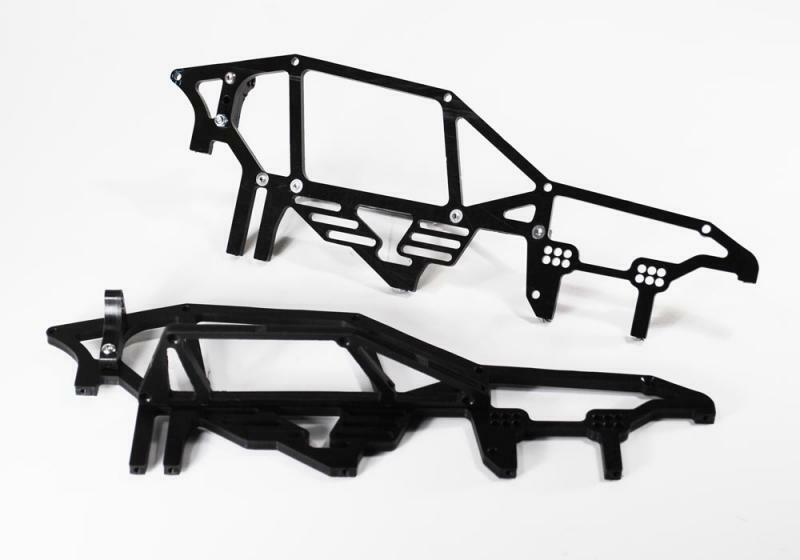 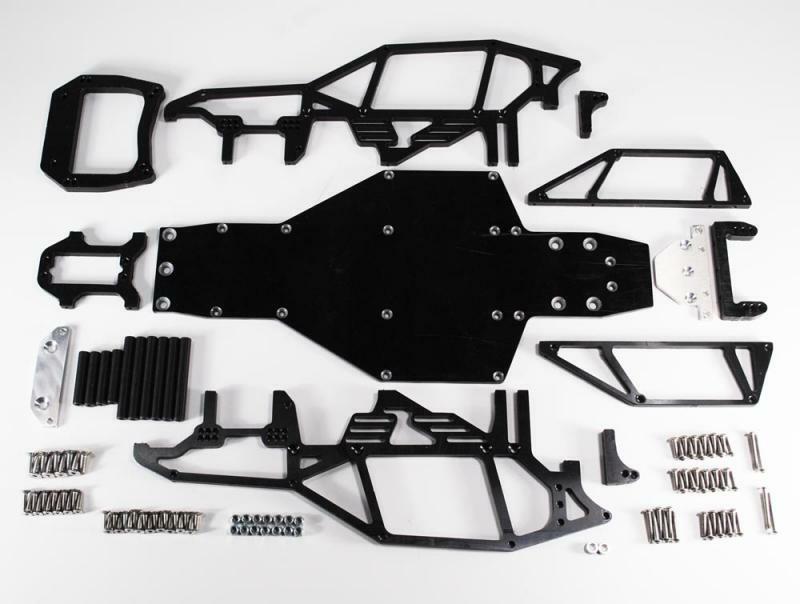 Also, bolt the Front Aluminum Chassis Bulkhead to the same Chassis Side Plate using 1x 3x10mm flat head screw. 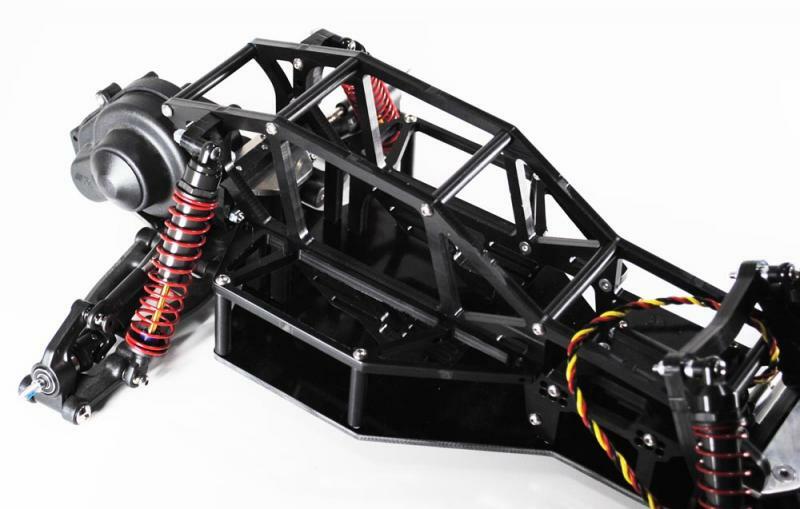 Bolt the Servo Mount to the same Chassis Side Plate using 2x 3x12mm button head screws. 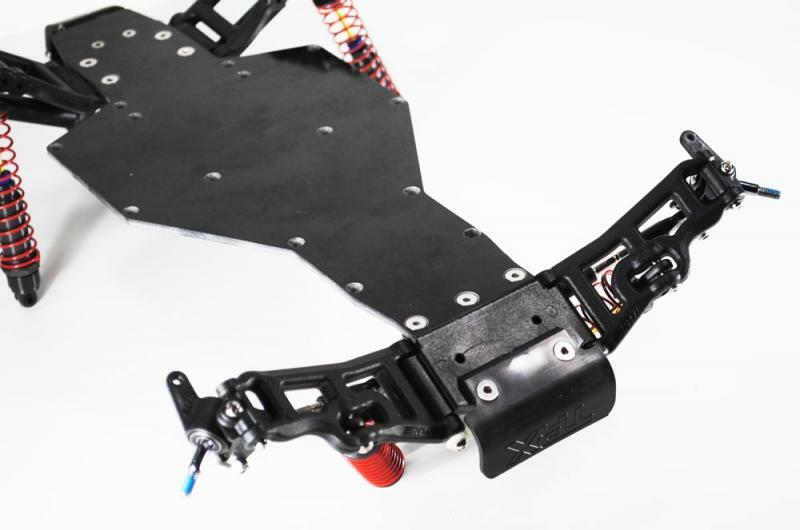 Install Kimbrough heavy duty servo saver on your steering servo. 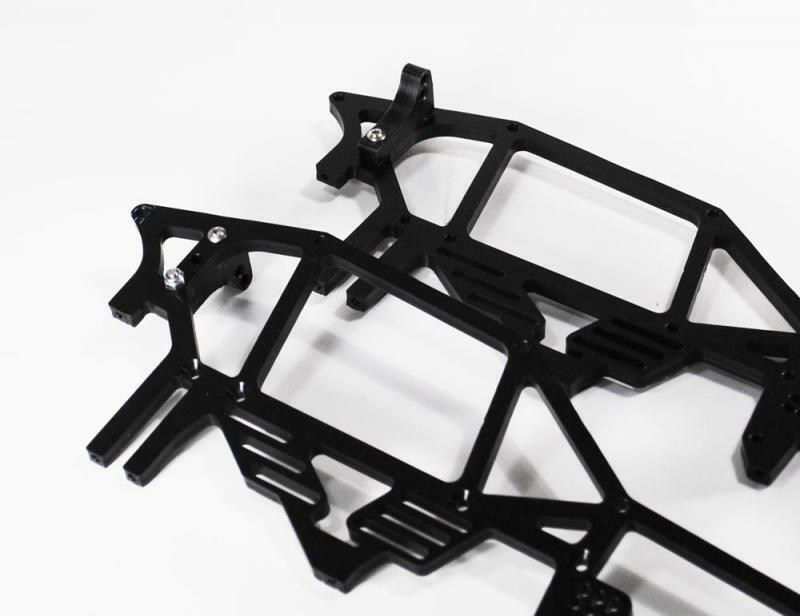 Open the outer 2 holes of the servo saver to 3mm or 1/8”. 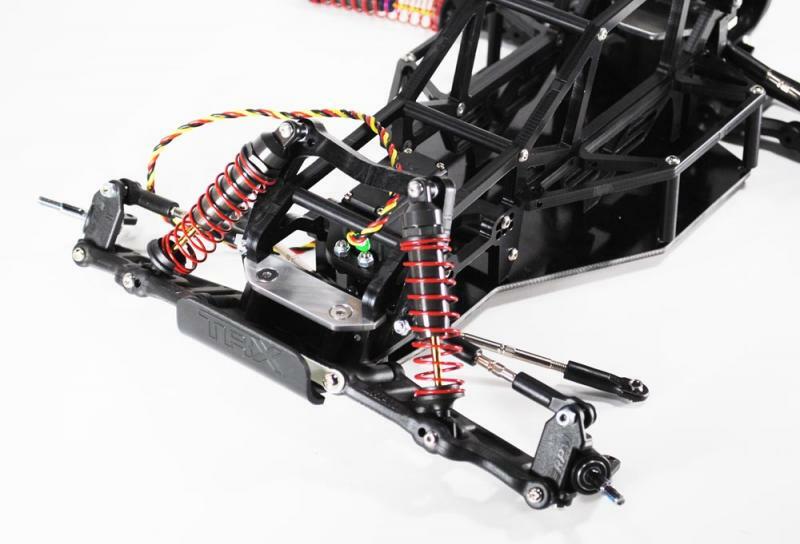 Connect steering turnbuckles (I use Traxxas part number 3645 with Slash/Pede/Rustler front arms) to the servo saver using 2x 3x16mm button head screws and 2x 3mm locknuts. 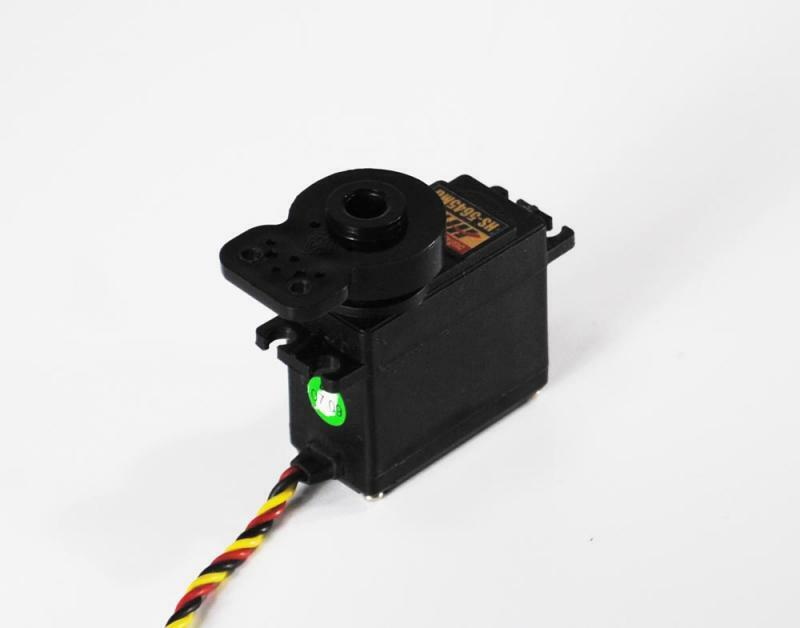 Bolt the steering servo to the Servo Mount using 4x 3x12mm button head screws and 4x 3mm locknuts. 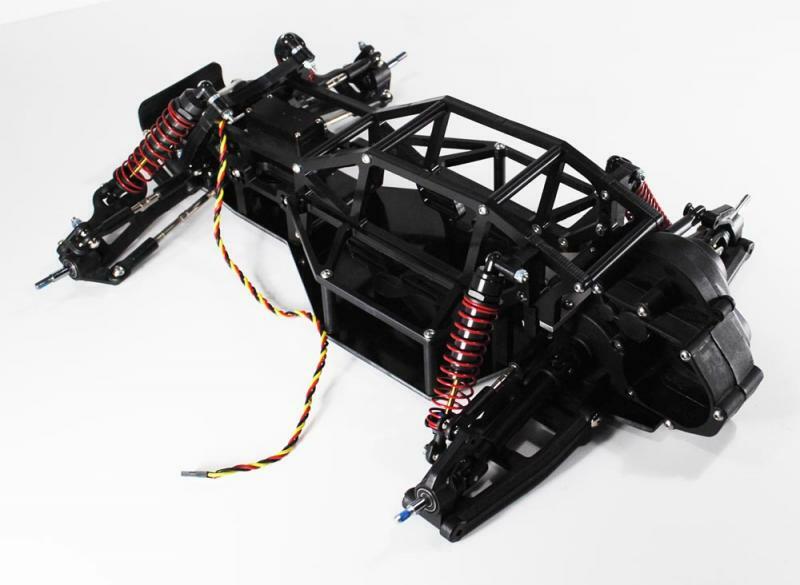 Make sure the top of the servo saver and turnbuckle mounting hardware do not extend below the bottom of the Chassis Side Plates. 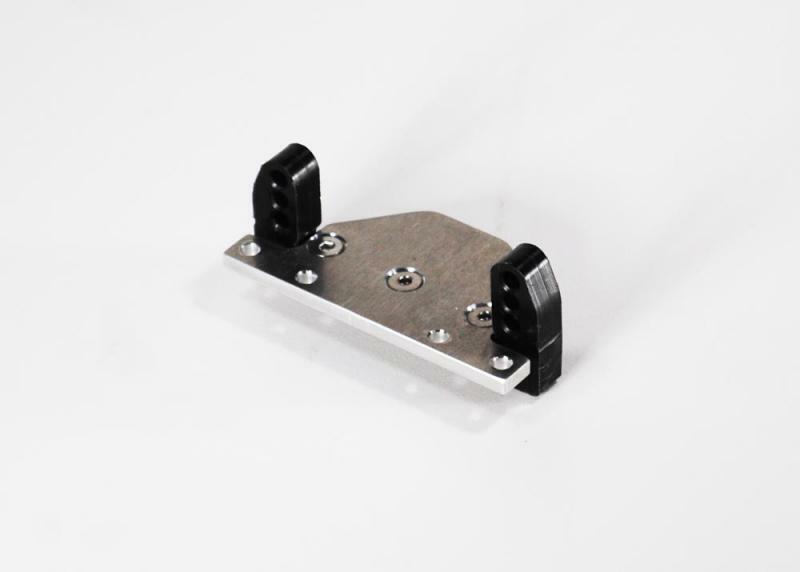 Bolt the Chassis Spreaders onto the same Chassis Side Plate using 1x 3x10mm flat head screw and 5x 3x10mm button head screws. 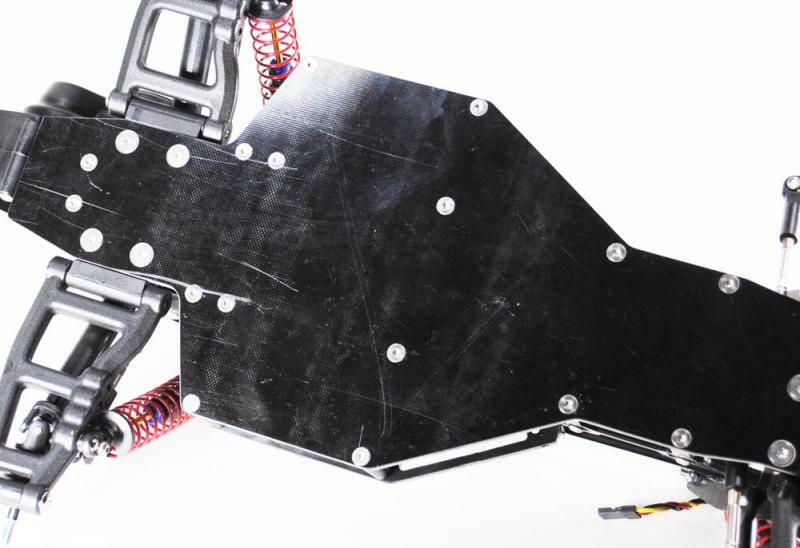 Bolt the second Chassis Side Plate to the first half assembly using 2x 3x10 flat head screws (front aluminum bulkhead and front spreader), 2x 3x12 button head screws (servo mount), and 6x 3x10 button head screws (remaining spreaders and rear aluminum bulkhead). 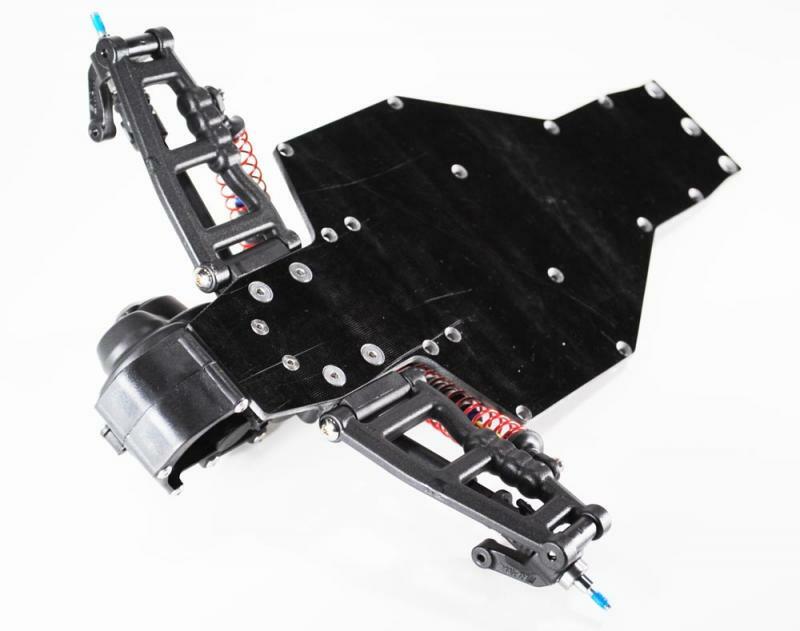 Bolt the Vertical Side Wing Standoffs to the Side Wings using 4x 3x10mm button head screws. 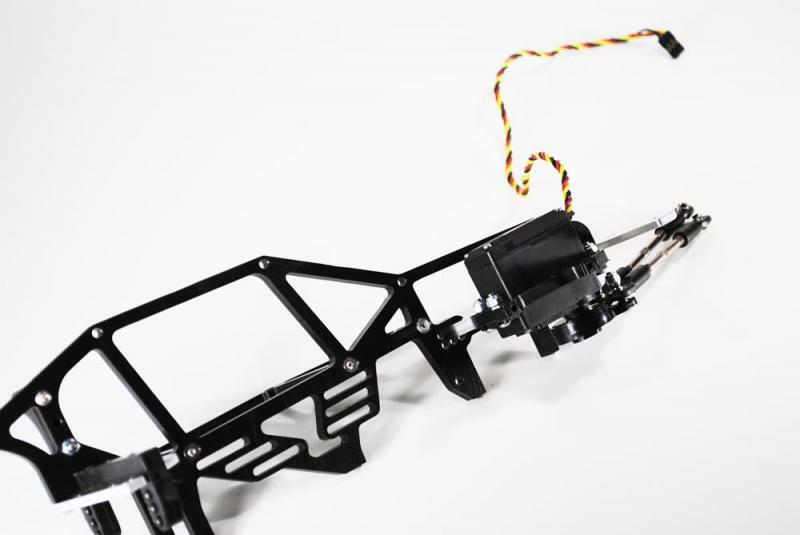 Bolt the rear camber links to the Rear Link Mount with 2x 3x16mm button head screws and 2x 3mm locknuts. 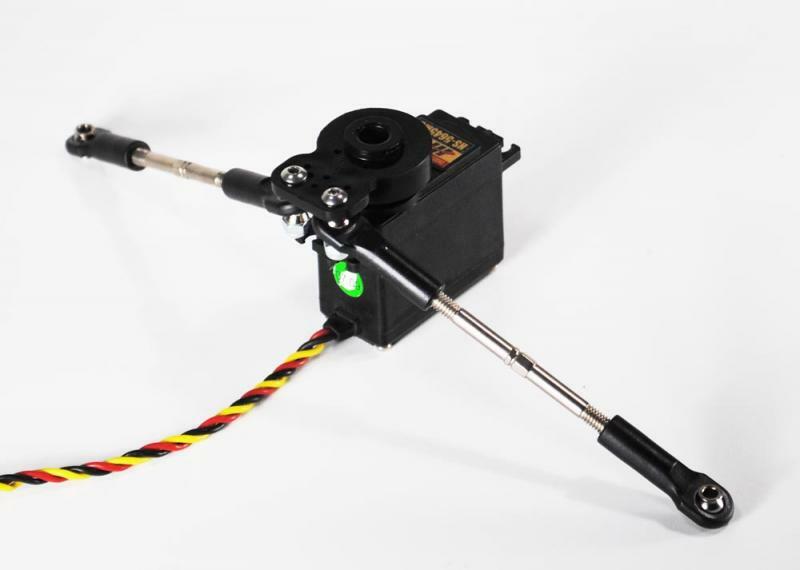 Bolt the transmission to the Chassis Skid with 2x 3x12mm flat head screws and 4x 4x12mm flat head screws. 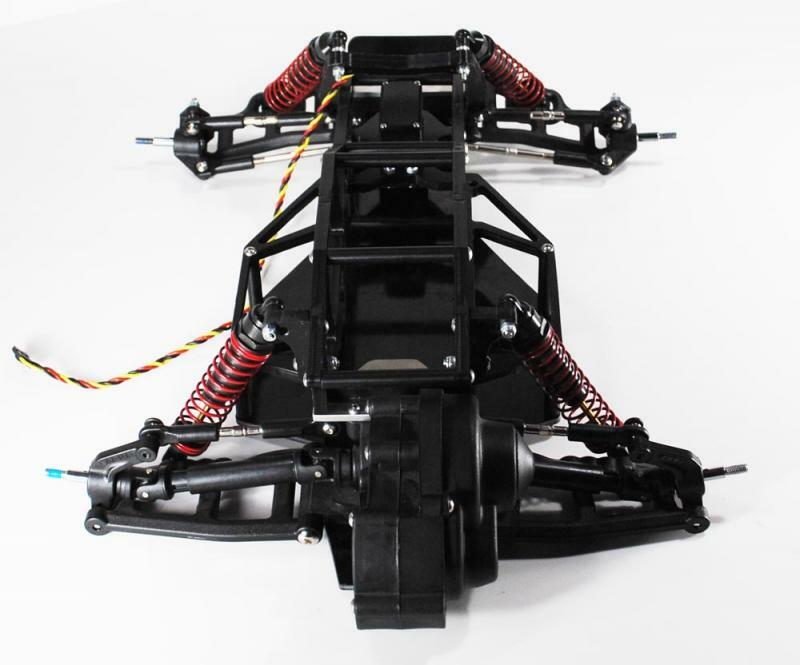 Bolt the front suspension bulkhead to the Chassis Skid with 3x 4x12mm flat head screws. 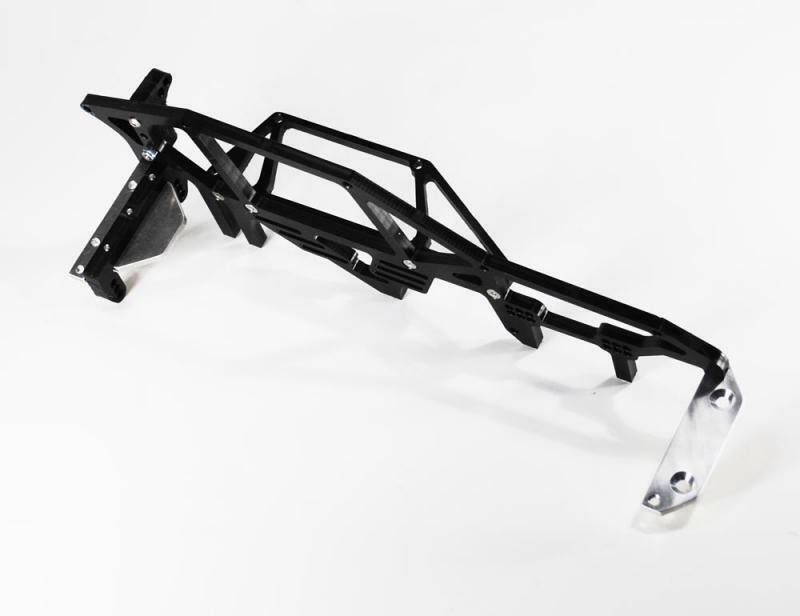 Bolt the Front Aluminum Chassis Bulkhead to the front suspension bulkhead with 2x 4x12mm flat head screws. 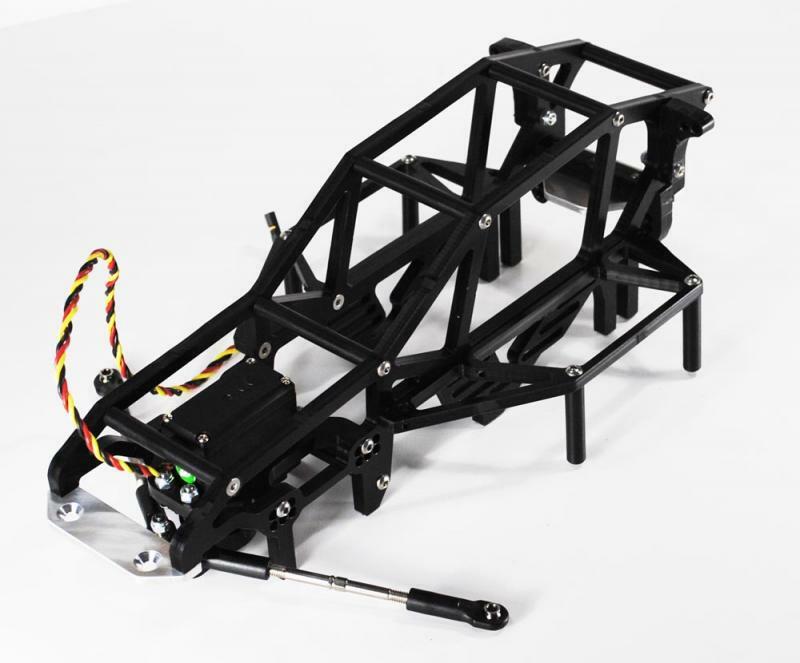 Bolt the Rear Aluminum Chassis Bulkhead to the transmission with 2x 3x10mm button head screws. 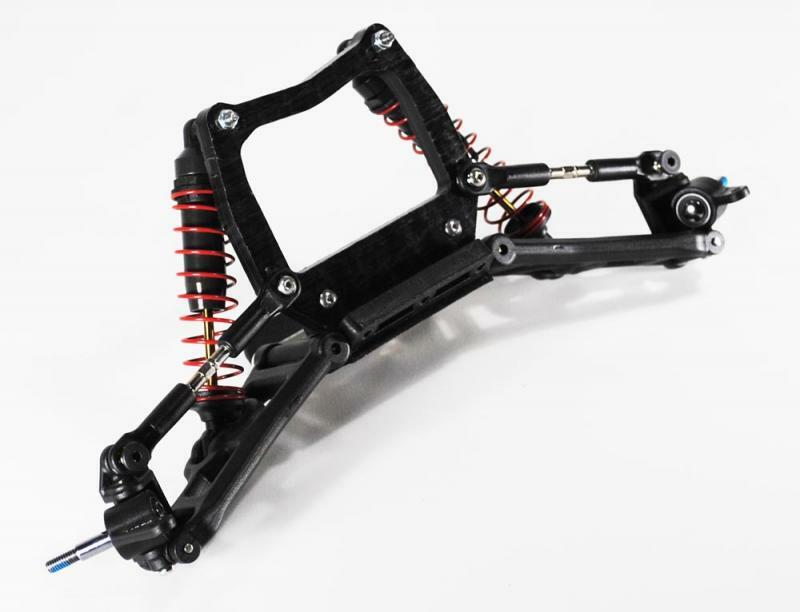 Bolt the rear camber links to the rear hub carriers with Traxxas hardware. 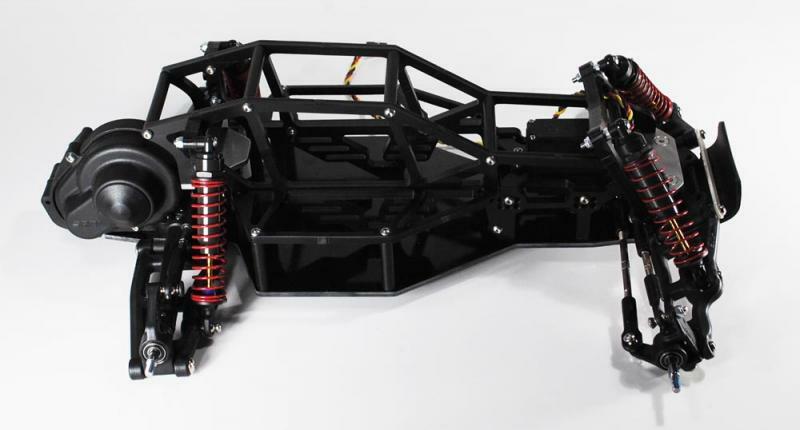 Bolt the rear shocks (95mm eye to eye ideal length) to the Rear Shock Towers with 2x 3x20mm button head screws and 2x 3mm locknuts. 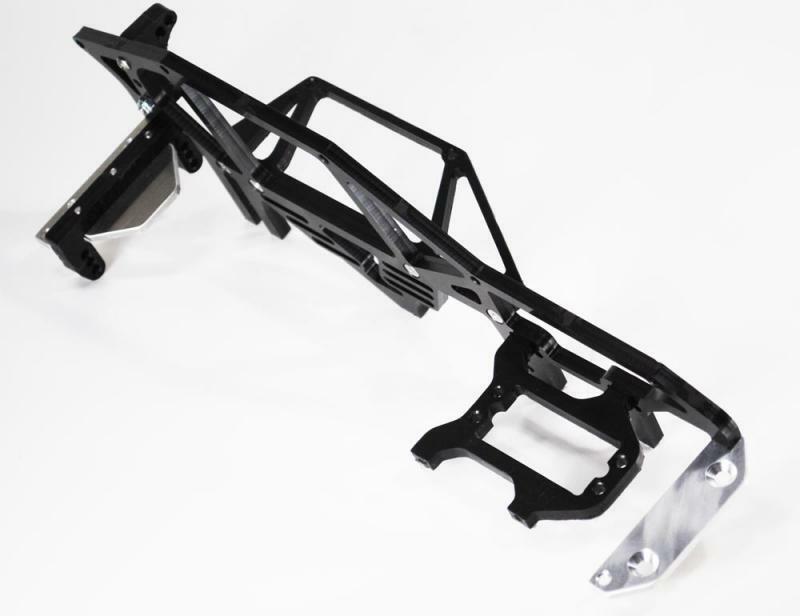 Bolt the Chassis Side Plates to the Chassis Skid with 10x 3x12mm flat head screws. 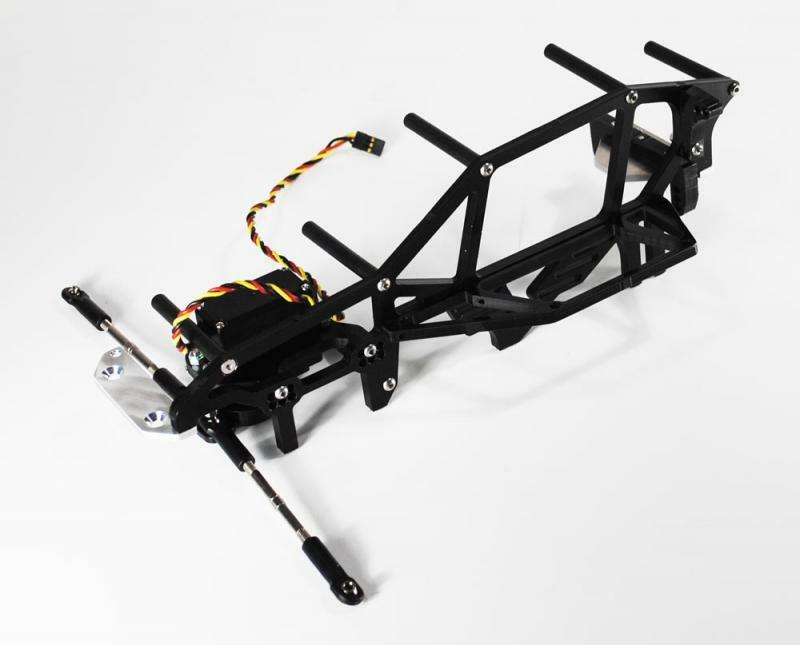 Bolt the Side Wing Vertical Standoffs to the Chassis Skid with 4x 3x10mm flat head screws. 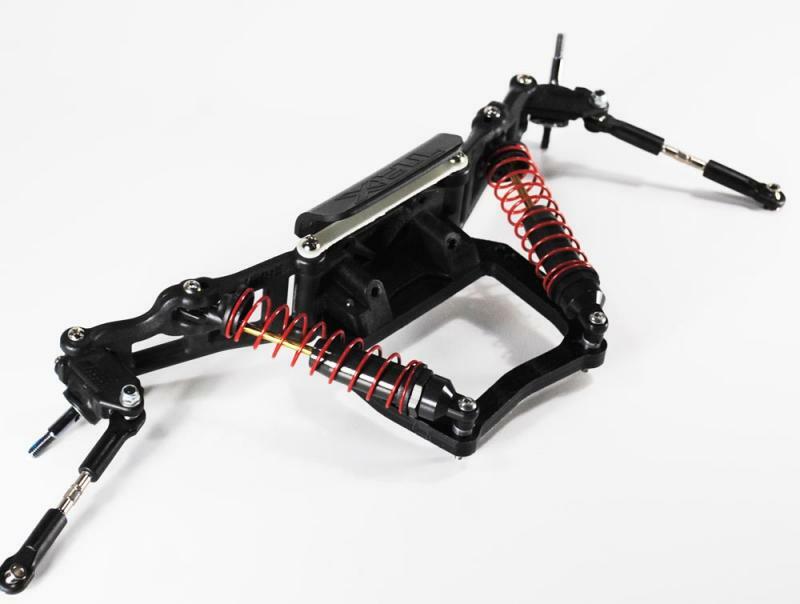 Connect the steering turnbuckles (Traxxas part 3645 for Slash/Pede/Rustler arms) to the steering knuckles with Traxxas hardware. 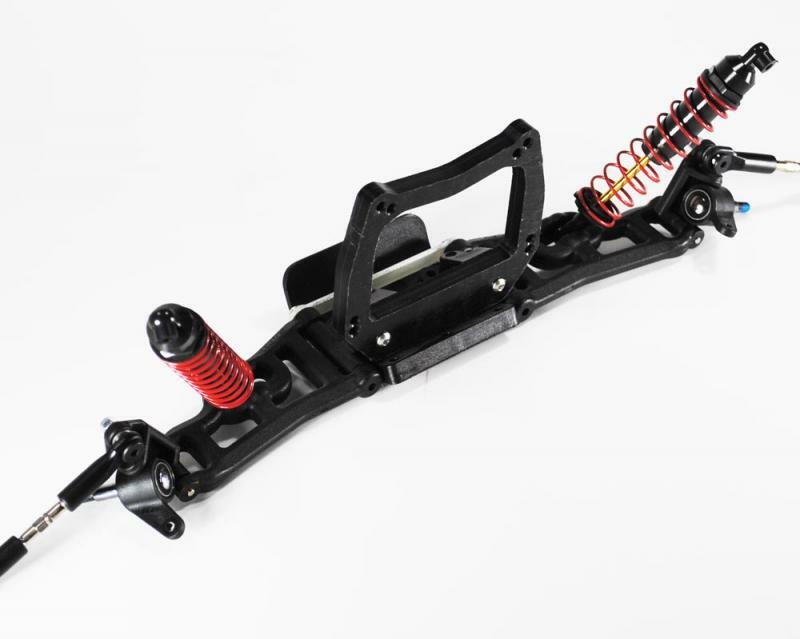 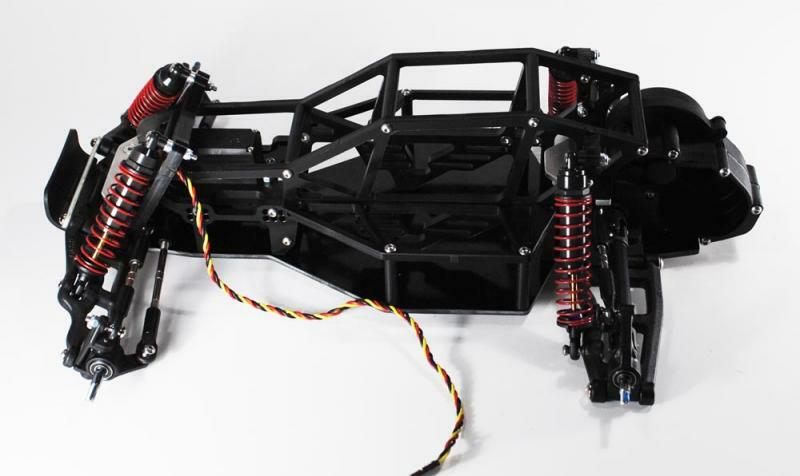 Now you'll need to set your caster/camber, install your electronics, mount up your favorite wheels and tires, and start ripping your new Phantom!